Wow, do I have some pure eye candy to share with you today. For those of you that have been around for a while may remember when I was trying to make some wall decor decisions in my dining room. Should I add shelves? Should I add more pictures? This was two years ago. Click here if you need a refresher before continuing. Anyway, I ultimately decided to add more pictures. You can read about that here. While that worked for me, I really regretted not having some shelf space in my dinning room. So, apparently after two years, I decided to change that. After removing the pictures, filling in the holes, and touching up some paint, here is the before. I picked up some brackets and 2″x12″x8’s at Home Depot. I cut everything to length, sanded, and attached the brackets. Then everything got a coat of white paint. 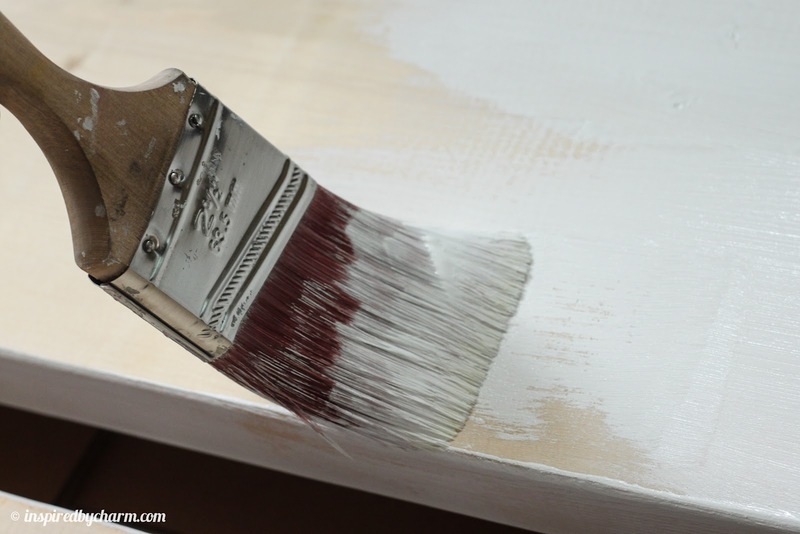 I use the latex based trim paint from Sherwin Williams in semi-gloss for all the trim in my house. I used the same for this project. After two coats I attached my new shelves to the walls with some screws and BAM!, new awesomeness for dining room. I do apologize I don’t have a full tutorial for this, but I figured the process was pretty self explanatory. Now, on to the fun part. Filling these babies with awesomeness! To show you my new shelves I created two fancy displays. 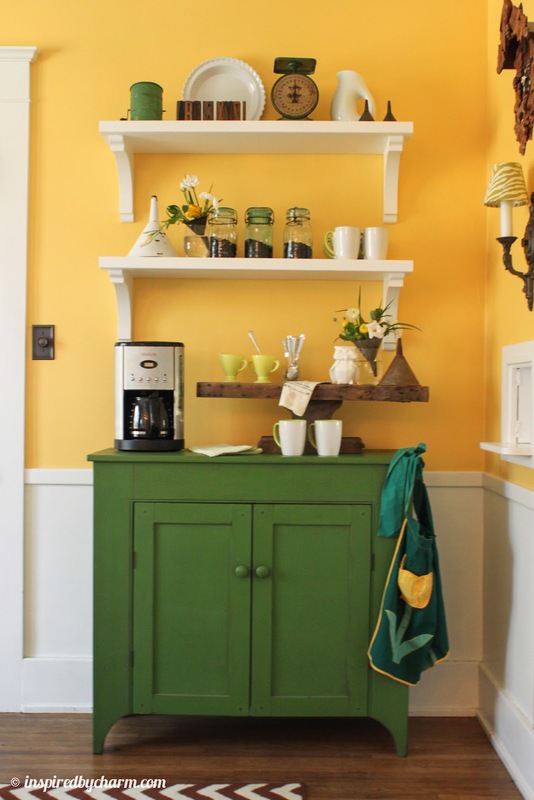 The first is a coffee bar and the second is a lemonade stand. Let’s check them out! A natural color scheme with pops of green and yell pulls together this impromptu coffee station. A funnel in a stemless wine glass creates an easy and unique flower arrangement. A few snips of greenery and blossoms from the garden practically arrange themselves as stems are tucked into the narrow end of the funnel. A vintage wood ironing board found shopping at a local antique shop acts as a unique riser and is the centerpiece of both displays. Coffee beans in glass jars, more funnels, old printing blocks and a sweet little owl create interest and a bit of fun. 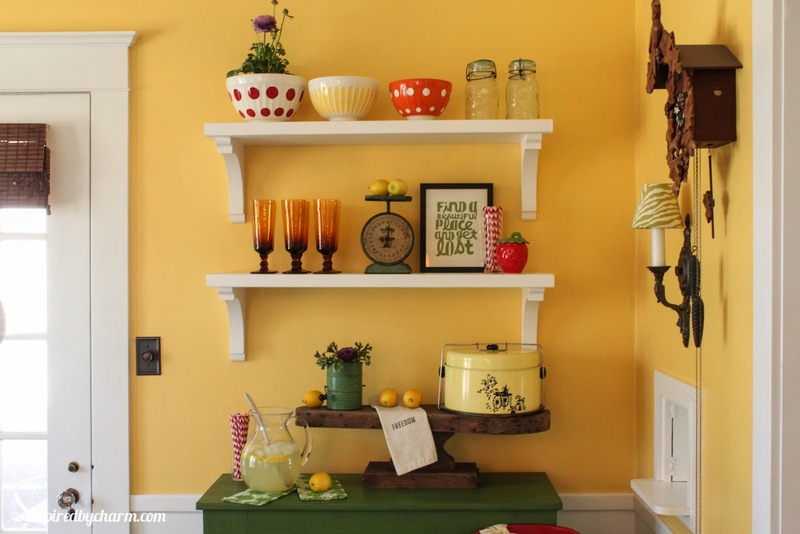 Next up, my little in-house lemonade stand is all about color. Taking inspiration from a set of colorful bowls, splashes of red, purple, orange, and yellow were added to make this display really pop. Two potted purple ranunculus plucked from the garden add a natural and cost effective touch. Red and white striped straws in a tall drinking glass serve a purpuse and add a sense of whimsy. I love these straws! And, of course, there is plenty of cold lemonade with a few spare lemons for garnishing glasses or to whip up another batch should more friends arrive. I’m totally in love with my new shelves and I can’t wait to deck them out for the fall and christmas! That’s the best part about shelves. Very nice Michael… I love the bulky white shelves with the green hutch. Nice work on both the coffee and the lemonade stations! Fabulous! I thought the coffee bar was great, but wait…. the lemonade stand really rocks! You’re awesome! This may be the happiest little corner around!! Oh, I love your new shelves. They just make this space! Love how you’ve decorated it so cute too. I absolutely LOVE both looks. I draw SO much inspiration from you! Both looks are stunning. 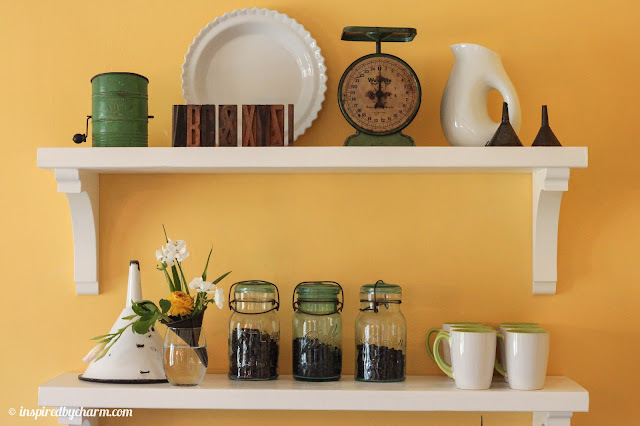 I love your shelves and the pop against your pretty wall color. Love the idea of the funnel in the wine glass for a small bouquet. Love it! I have the perfect spot! these shelves look like a fun place to decorate! I love the idea of a funnel to hold flowers in a glass – clever! I love your home more every single time I see it. 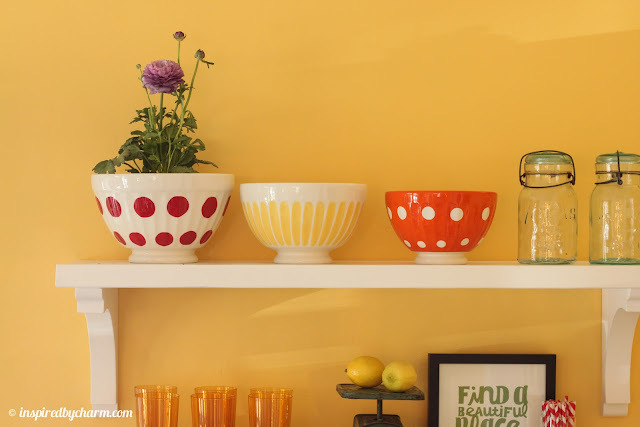 This colourful little corner is perfection! Super cute! I love both set-ups! I need a fun spot like that in my house. Gorgeous. You spaced the shelves just right so there is room to add lots of interesting items, but not so high that everything seems to float. I love both versions. Those brackets are just terrific! I love the bright green of the cabinet, too. I love this so much, Michael! That coffee station is just about perfect! oh my goodness…I love this! 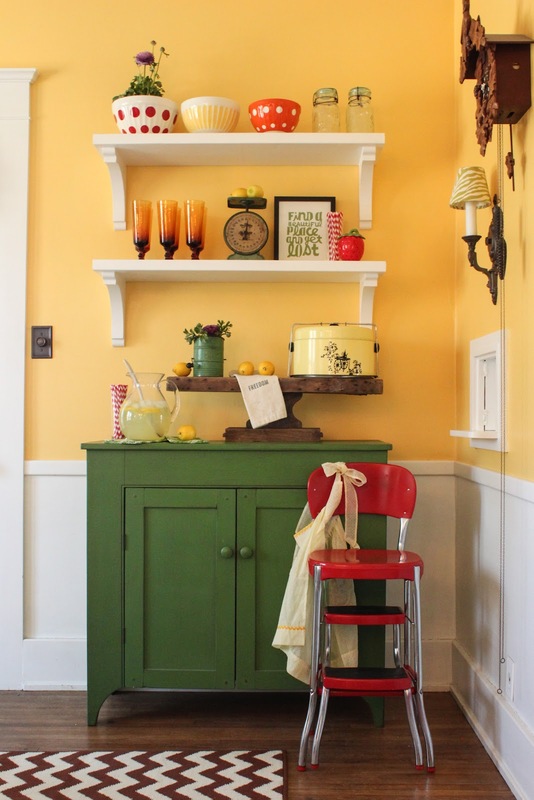 I have been searching for the perfect shelf for my dining room wall & this may just be it! Brilliant combination of design and function! Give yourself a huge pat on the back and a gold star for this lovely and creative idea of yours! So perfect in every way! I love that you can switch it up…I NEED those bowls! Beautiful!!! I really need to know the name and brand of your yellow wall paint. I love it! Well I’m really in love with your new shelves also! I think I need a lemonade stand, I already have the same red stool. Can I borrow your adorable ironing board table? SOOOO COOL! OOh, I love these!! Great project I think I could do! I love anything white, and I ‘ll look forward to seeing you dress the for various holidays! So pretty! Michael, what color is that yellow on the walls? I’m thinking about yellow for my kitchen/nook and I really like yours. Is it as dark as it looks in some of the pictures though? Michael, your mind is so full of wonderful ideas, and your creativity is delightful! 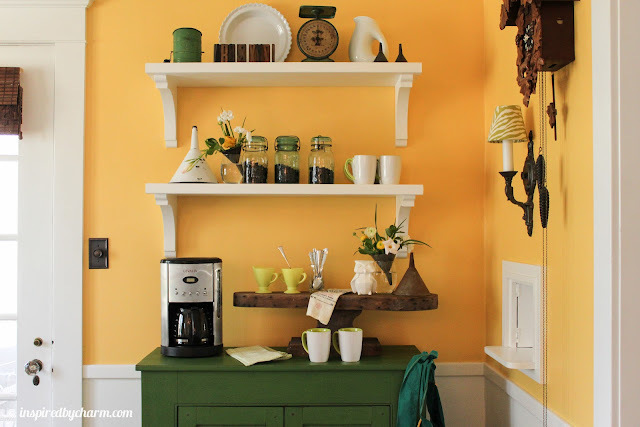 I love the way you dressed your new shelves and vintage ironing board to create both of your stations. Wow! Thanks so much for sharing with us! I love all that color. Can’t wait to see what you do with your new shelves over the holidays! Oh I love this…did I say I LOVE IT! The colors are mine 🙂 Which is why I have to know where did the bowls come from….like really I want those bowls..would like to order them yet tonight…the bowls are just amazing … just what I have been looking for and have just the place they are going to go …. really…please….where can I get the bowls they are perfect!! Such a great job, Michael! wow! that looks like it came straight out of a magazine! beautiful!! 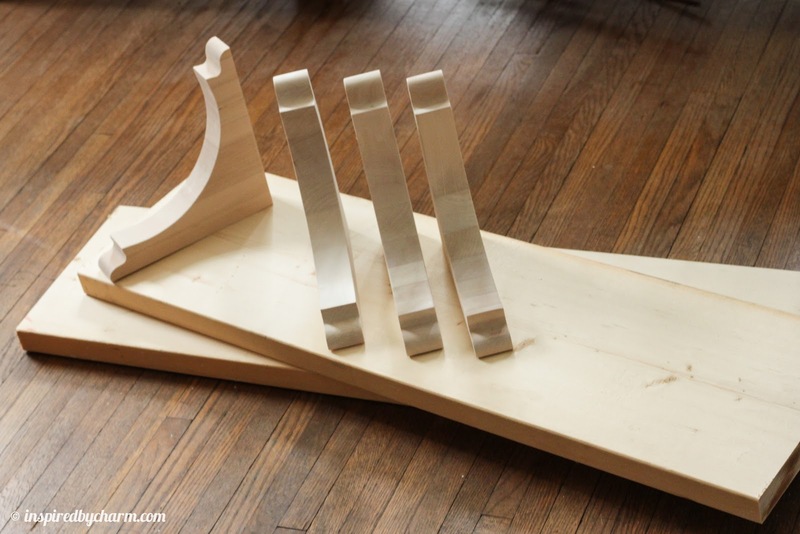 The ironing board is seriously cool. And I love the brackets you picked for the shelves. You have an eye, Michael. I love it. 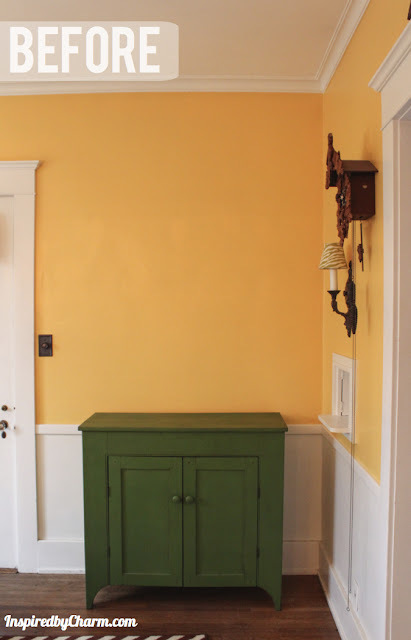 First off, I love the green cabinet. The shelves turned out beautifully. Both of the displays really create a fun place to gather in the corner. Looks fabulous! And that wooden ironing board is so unique. I don’t know which I like best! What a super corner – so inviting! I love your style – bold vintage! Gorgeous and I love the options you share. Looks amazing! So cozy – I just want to walk right into the picture and make myself a drink. Well done! 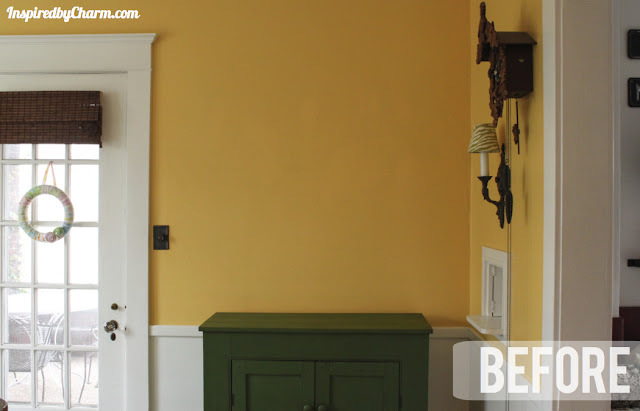 I love these colors – can you tell me what color you used on these walls?? both of these displays are PRETTY STINKIN CUTE! 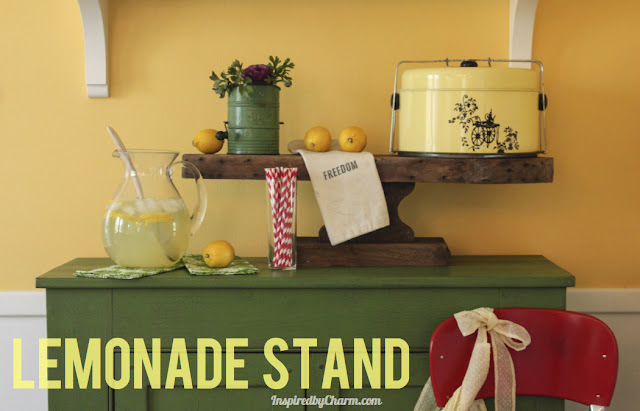 i love the lemonade display as we SAVOR THESE LAST SWEET SUMMER DAYS! 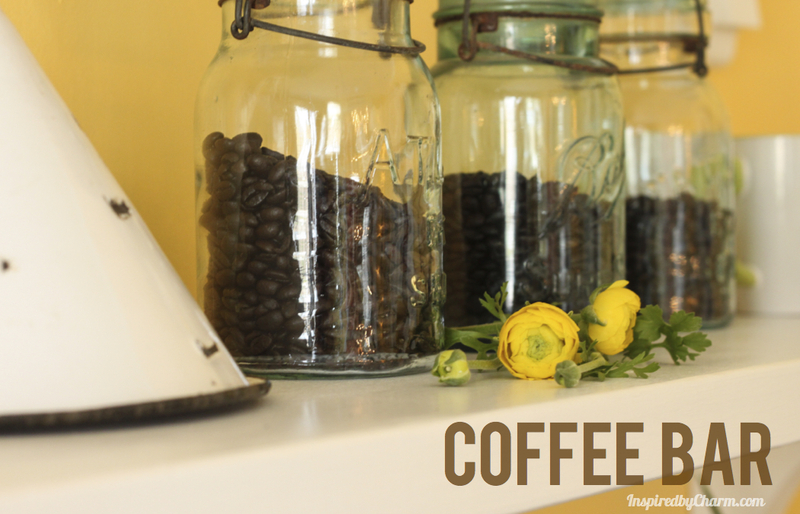 and the coffee bar is oh so cozy as we move into fall! well done my friend! How did you get those Olympic shoes? GREAT! Great job with the shelves! love the shelves!! Would you mind sharing the total cost for the project? Looking at purchasing some shelves, wondering if DIY is better. Great idea… love those thelves!